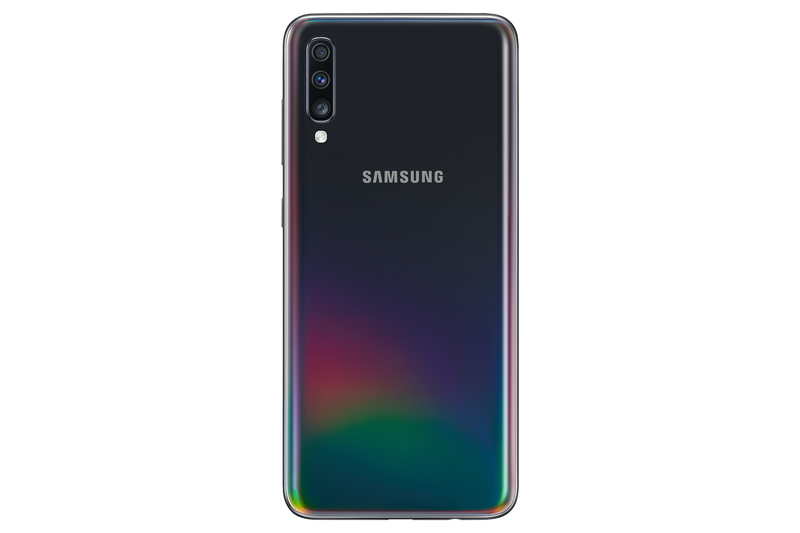 Weeks after the S10 and S10+ launch, Samsung reveals yet another contender; but this time in the ‘premium’ mid-range smartphone department: the Galaxy A70. 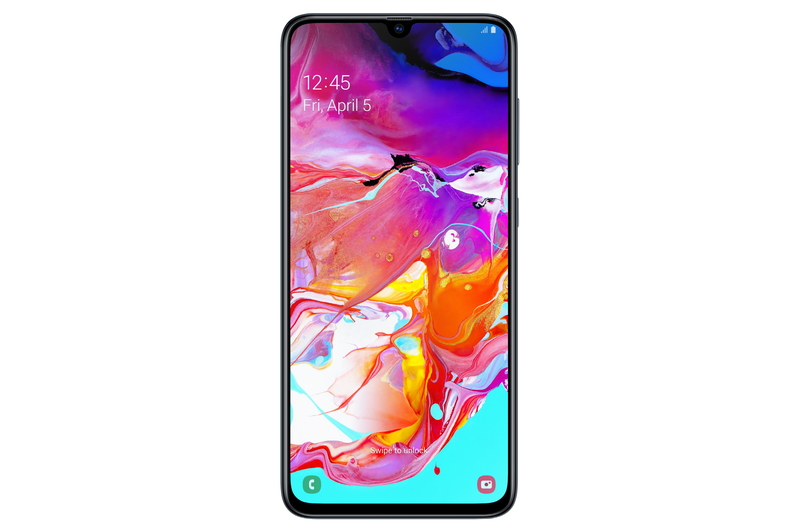 It features a 6.7-inch FHD+ Super AMOLED Infinity-U screen display, a sizable one for video watching and mobile game play. A70’s body is built out of ‘3D Glasstic’, a combination of metallic frame, glass front, and gradient poly-carbonate on the back that comes in Black, Blue, Coral, and White color. It runs on Android 9 Pie and is powered by Octa Core processors with 6GB to 8GB RAM + 128GB storage—expandable via micro-SD up to 512GB. It’s also equipped with an on-screen fingerprint and facial recognition system. Camera-wise, the A70 doesn’t disappoint with its triple 32MP + 8MP + 5MP rear camera setup and a 32MP selfie-shooter. With all these specs, the A70 can sure keep up with its 4500mAh battery power which lasts for a whole day of active usage. It also supports super-fast charging at 25W. 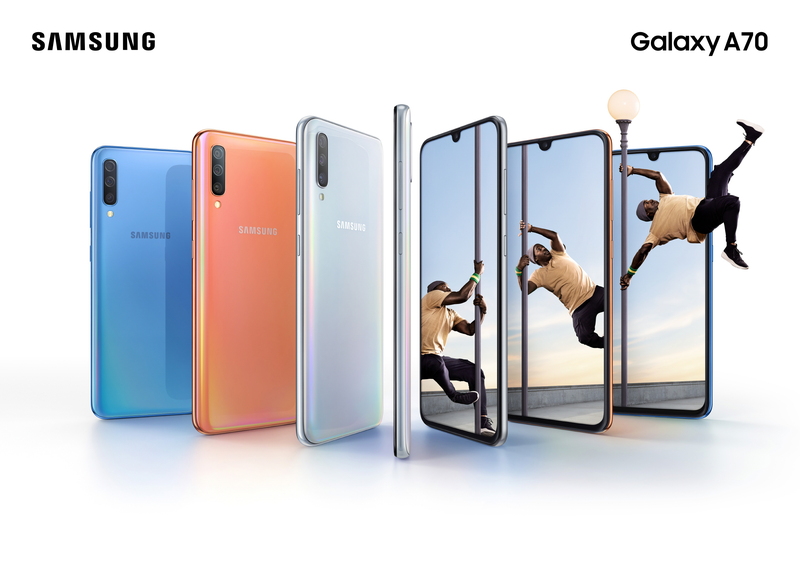 For sure, Samsung‘s lineup of its Galaxy devices are just as impressive as what the next one is going to be, the new A70 included. As for its other premium specs, price, and availability, we’ll just have to wait and see until the big reveal on April 10th.